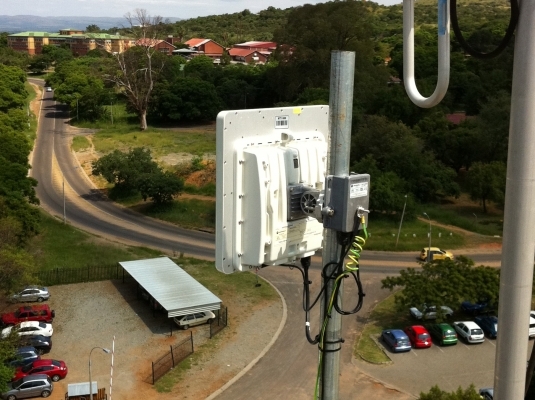 Due to the success of Phase I, deploying five PTP Wireless links for Dr. Pretorius, APC Solutions was commissioned to implement Phase II of the project. Phase II would allow further connectivity to the Accounts Department and Ferncrest Hospital. A seamless high-speed data network for the day to day requirements of Dr. Pretorius, the Accounts Department and Ferncrest Hospital would allow the transmission of patients X-rays, large accounting files and patient’s medical files to alternative hospitals for doctors to evaluate and the Accounts Department to process. 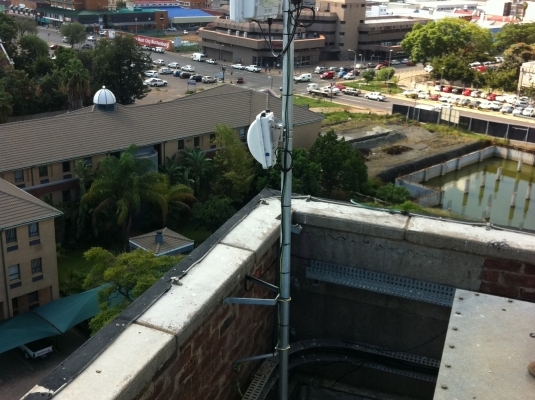 APC installed two links; link one, a Motorola PTP500 Lite from Peglerae Hospital to Ferncrest Hospital. And link two, a Ruckus 7731 PTP from Peglerae Hospital to the Accounts Department. The two links generated over 150Mbs of bandwidth allowing X-rays, which will often be over 90Mbs in size, to be quickly sent between sites for diagnosis. The links also allowed the accounts department to upload and share vital billing and invoice information between the medical practices and hospital, ensuring payments were made quickly and efficiently. Dr. Pretorius and his associates now have a rapid response time to patients needs. It has also allowed them to spend more of their valuable time with patients rather than dealing with files and arranging for disks of vital information to be sent. A further Phase III project has been scoped for deployment later in 2011, which will allow additional connectivity to other doctors’ practices. APC will also be integrating a VoIP solution, which will allow full voice connectivity to all the Doctors and Hospital locations, providing free calls and a feature rich voice solution.